This hole looks fairly straight forward, but trouble awaits for those who do not hit a straight and reasonably accurate tee shot. A small but troublesome copse of trees encroaches onto the fairly on the left and a water hazard with some further trees will catch the shot hit to the right. 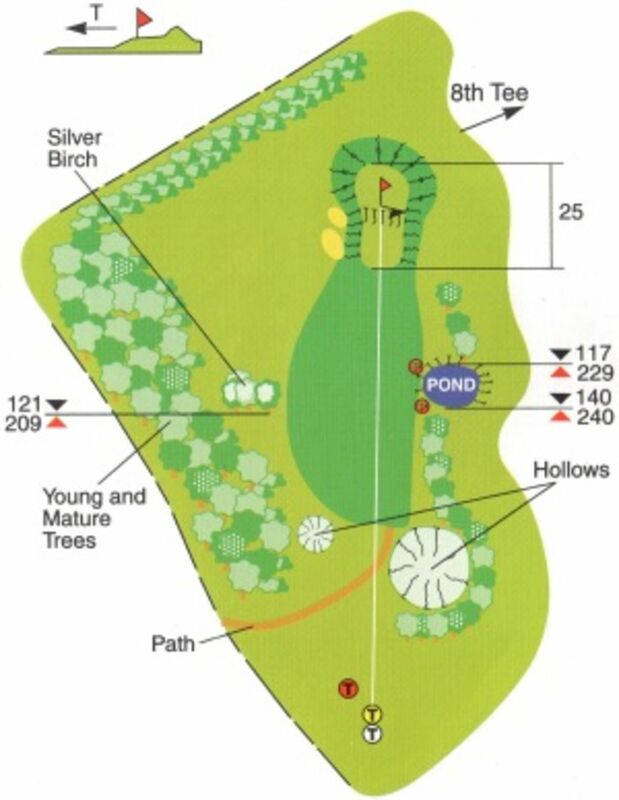 The subsequent shot to the green has a couple of green side bunkers to negotiate on the right (not visible from the fairway and a grass mound to the right. The green slopes quite significantly from back to front and from left to right. Not a easy green to read at the best of times.